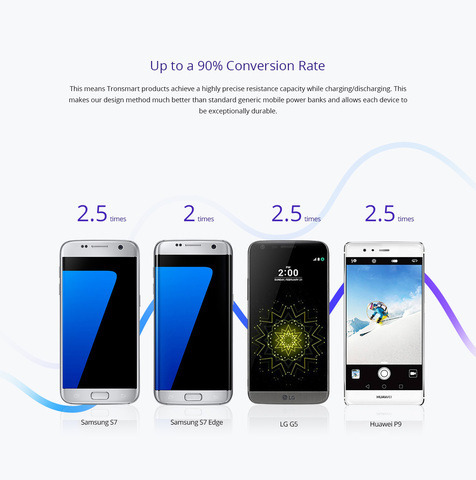 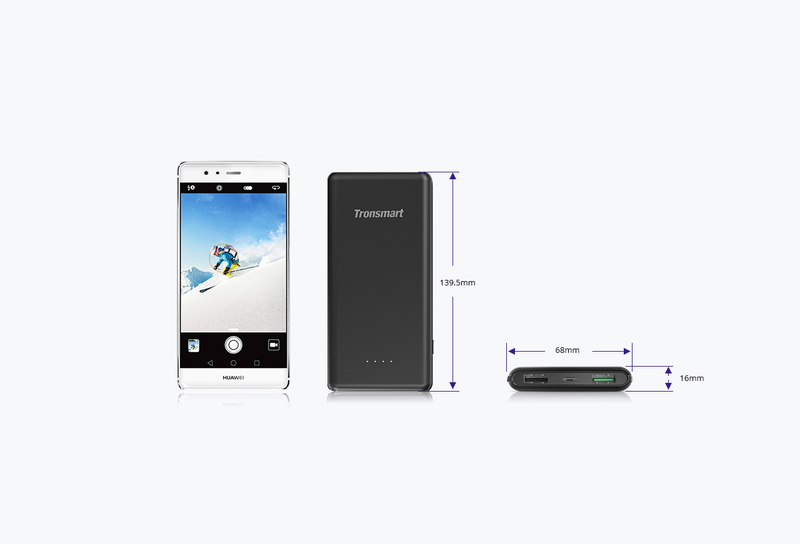 Remarkably Compact: Much smaller than other high-capacity portable chargers. 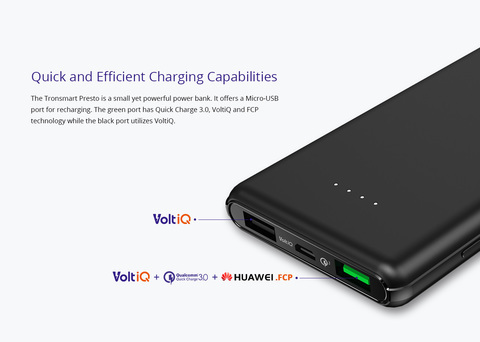 No other charger packs this many recharges at such high speed into such a small space. 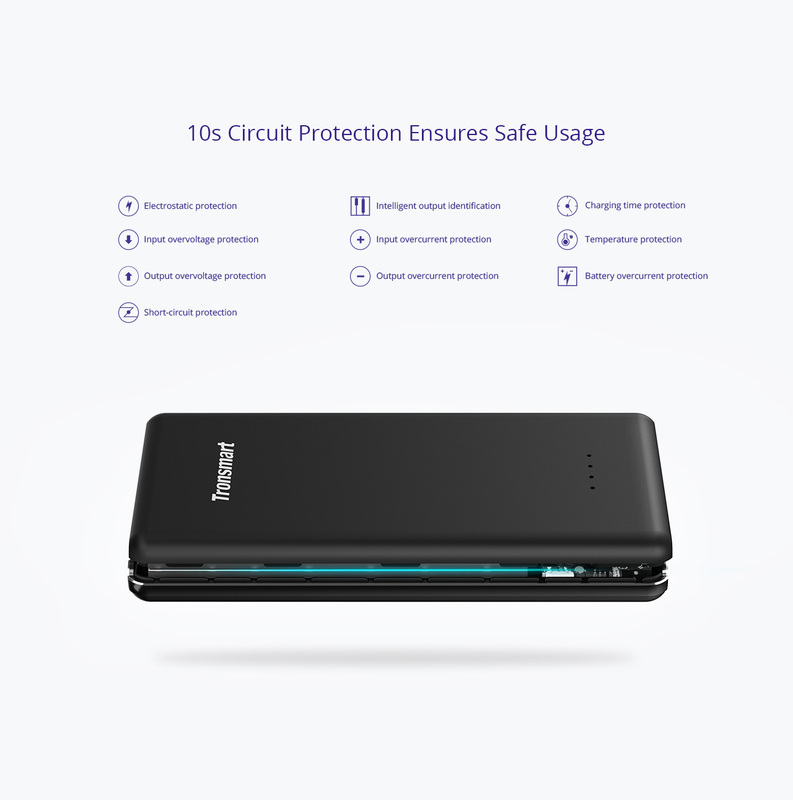 Stylish, Pratical & Safe: Smooth ebony varnish with 4-LED battery level indicator, 100% safe circuit protection; charger automatically shuts down if short circuit or overload occurs to protect your devices. 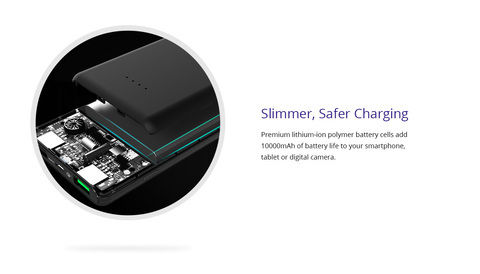 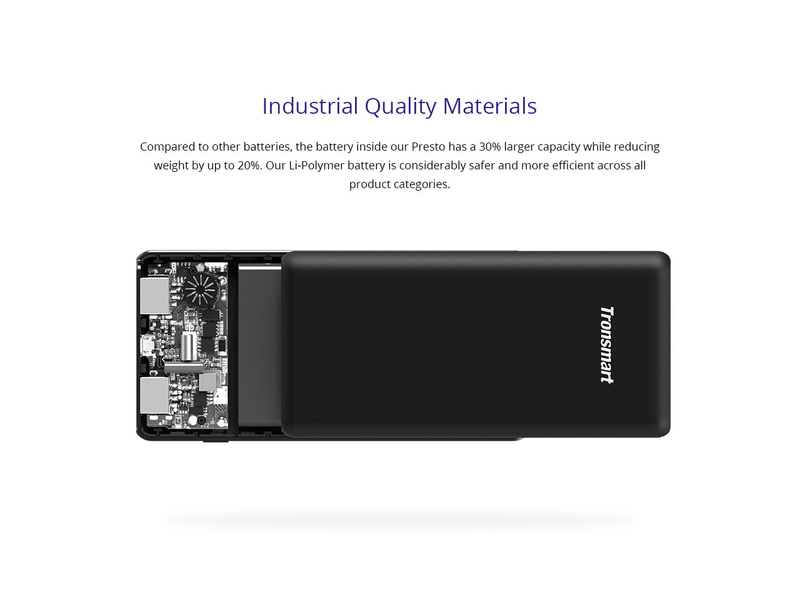 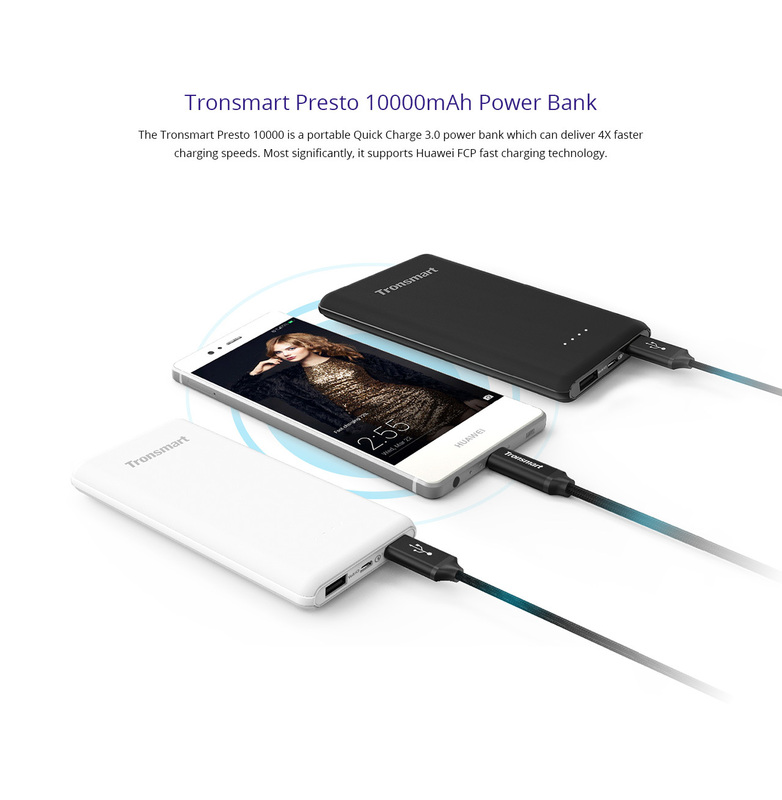 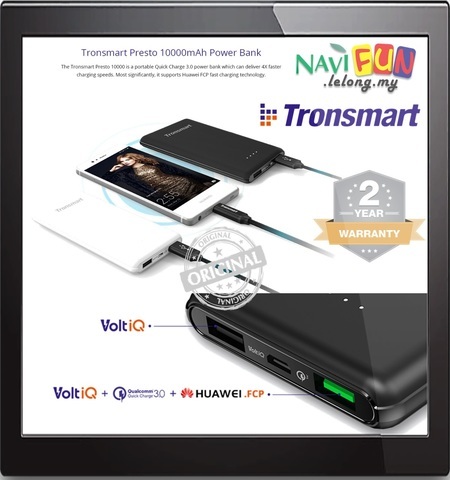 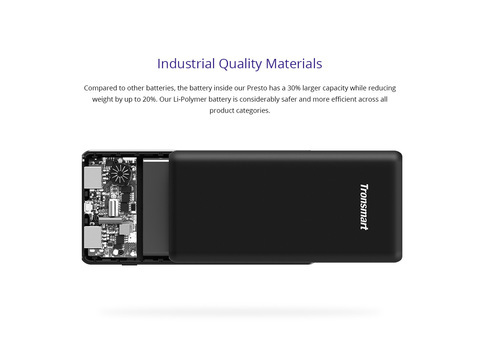 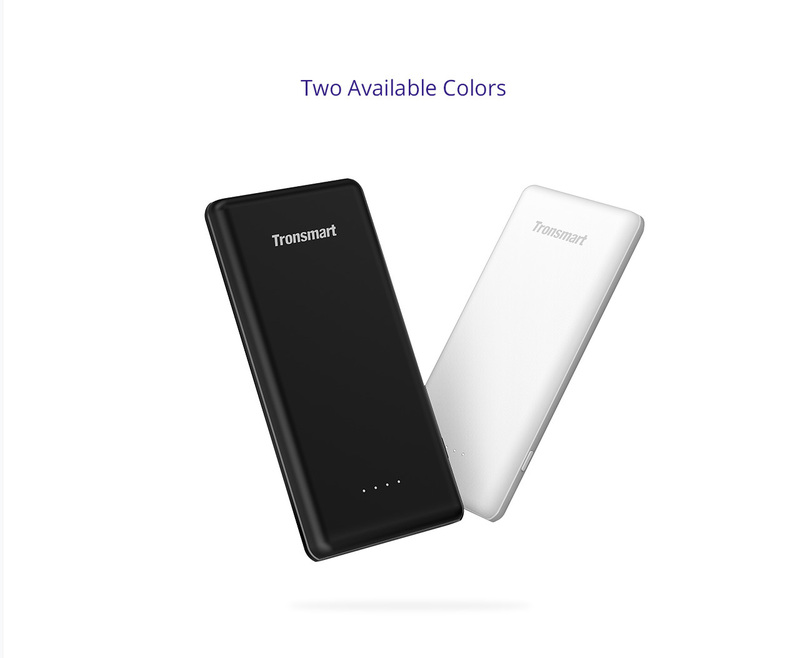 What You Get: Tronsmart Quick Charge 3.0 10000mAh power bank, 20cm Micro USB cable, welcome guide, Travel pouch, our worry-free 18-month warranty and friendly customer service.